This memoir opens with a foreword by Lane and Patty Judson, the parents of Crystal Judson-Brame, a woman from Tacoma Washington who was murdered by her police officer spouse David Brame. Tragic and informative, this was an important and well written foreword from the point of view of the family of a victim of domestic violence. The painful aftermath of their daughter’s death is evident in the emotional thrust of the writing and their strength of purpose is affecting. Society’s allowance of police corruption as well as the diminishing of the epidemic of violence against women, particularly those married to police officers, permitted David Brame, a very dangerous man, to continue wearing a uniform while abusing and this is examined in great depth. Although it must have been horrific for them to recount the details of their daughter’s shattered life and death, Lane and Patty Judson’s contribution to Susanna Hope’s memoir was crucial. This powerful foreword enticed me as a reader to be open and ready with expectations for a continuing exploration through the eyes of a woman who has lived and survived the suffering. Immediately following the Judson’s foreword, an introduction by editor Alex Roslin recounts the disturbing public murder in 2001 of Lucie Gélinas, the ex girlfriend of RCMP officer Jocelyn Hotte and the subsequent court case following the tragedy. This account is a brilliantly written sucker punch by an experienced journalist and it is a perfect segue into the heart of the book, Susanna’s story. However, prior to this, there is a preface by the author Susanna Hope, who chose to write this book pseudonymously to maintain her safety from any reprisals that could be the result of her public disclosure of the violence she endured. There are two schools of thought about pseudonyms, especially when used to write memoirs. Some feel it puts doubt into the mind of the reader as to the accuracy of the account when content cannot be attributed to someone openly, while others believe it to be irrelevant and in some cases may add a sort of mystique that can attract a reader. When you get down to the brass tacks of the matter, it is the writer’s decision alone to make. The memoir portion of Police Wife is written in a diarist format, with each journal entry chronological and written solely from memory rather than at the time the events occurred. Perhaps this was deemed a less stressful way for the author to discuss highly charged emotional situations with regard to Post Traumatic Stress Disorder and the triggering effects the reliving of experiences can have. However, it was not the best choice for the retelling of such a brutal and gruelling tale. The short journal entries only highlighted a lack of emotional connection in various areas, skirting over issues that would have been painful but are fully necessary for the writer to reach their reader where it counts: in the heart. Occasionally, especially when discussing her children, Susanna Hope is less detached, almost forgetting her reticence to discuss the material, her maternal anguish jumping off the page. If she had applied this same candor, conviction and belief in her ability to delve deeply and courageously into her own emotional turmoil and responses to the abuse, she would have added a dimension to her story that is lacking and crucial to the impact of any memoir, particularly one of such social importance. Unfortunately, the narrative voice lacks authenticity although the material is factual and as a reader who has personal experience with the subject matter, I felt both compassion and disappointment that such an opportunity was missed. In addition, redundancy is a theme running throughout the architecture of the book. With chapter seven once again relating a message from the author, more or les tying up the conclusion and speaking directly to other victims, it instead reads as a repetitive lecture that should have been edited and polished. Chapter eight also echoes this same glaring need of a good editorial cleaning and as this chapter is a statement from the victim’s son regarding his own feelings about the abuse and the effect it has had on his life, the failure here is immense. Despite this, a powerful message is still imparted and a child’s voice is heard, albeit through unnecessary noise of superfluous language. The primary responsibility for the quality of any completed book falls squarely on the shoulders of the editor and this is where things become murky, especially when an editor also participates as a co-author. Very few can finesse both and in this case, the trees have completely blotted out the forest, blinding the editorial process entirely. 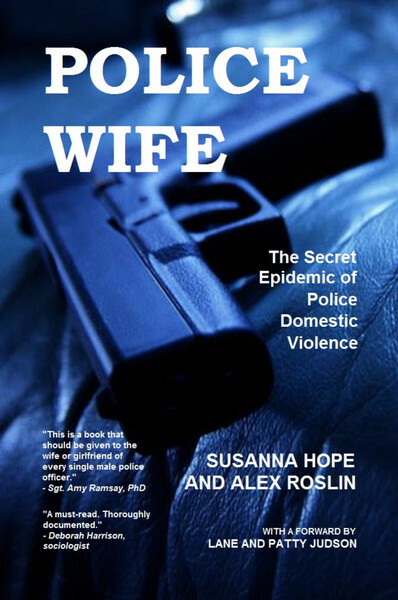 Part two which is comprised of chapters nine through sixteen were written by the editor/co-author Alex Roslin, an investigative reporter of some repute who utilizes the final portion of the book to discuss important statistics and elements of domestic violence as they pertain to police families. While this text is expertly written, it is far too extensive to be considered a support for the content of a memoir. Police Wife is in fact two books not one and this is why I felt so perplexed and unsettled when I finished reading it. Several times throughout I wasn’t certain whose story this was, or who was telling it. Strictly from a reader’s perspective, it would have been wonderful to have Susanna Hope’s story expanded at the right intervals with a good editorial nudging and encouragement, simply because it was her story that interested me rather than a secondary journalistic reiterating of facts that could have been and were gleaned from other areas of the memoir. Often, insecurity on the part of the editor can lead to an immense amount of filler in the guise of anecdotal evidence and supporting statistics that can douse the fire in the belly of the book, which in this case is Susanna’s compelling story. More than once I got the impression that a great deal of the information in this section of the book was included with the desire to have it used for teaching or counselling purposes as an end goal. Certainly this would be a logical next step if this was the intention but unfortunately it minimizes the memoir itself by competing with it for space and the reader’s attention. More than any other genre, the memoir is the most difficult to write and depending on the topic being explored, it can also be of great social significance to many if it is done correctly. There is a tricky aspect to the retelling of events from memory with the risk of extraneous information creeping into the body of the text at odd intervals, disrupting the flow and confusing the plot. A life story must be concise and an experienced editor will reign in this natural tendency on the part of the memoirist to veer off in directions not pertinent to the purity of the story. If this isn’t accomplished there is a risk the reader will become alienated and lose their emotional connection. In addition to this, the writer(s) have the added task of choosing a correct format for recounting the details of the life explored as well as the overall structure and layout of the book itself. The placement of forewords, prefaces, introductions and statistical references should be concise or they can create a heavy laden feel and read to any book, a distraction that every writer must avoid if they are to succeed as a messenger of truth. Despite my disappointment with some elements of this book, I am proud of Susanna Hope for bravely putting her story into the public domain and for being a pioneer in the discussion of police and family violence. She is the first and as is often the case, those who blaze the trail for others pay a price. Only another victim can understand the personal power it takes to do something so naked and frightening. Her incredible strength and spirit are still alive and breathing on every page of part one in spite of the timidity and reluctance that punctuates certain passages. In this sense, the book is a success. The author has opened up a new discussion pertaining to police, violence and privilege within the justice system beaming a light on the sinister secretive nature of their culture that has been a breeding ground for criminal behavior by those who are supposed to enforce the law not break it. This is a dialogue that is long overdue and it is more relevant now than at any other time in our generation, as police abuse against citizens has become the rule rather than the exception. More importantly, Susanna Hope has given a voice to those who are no longer here to speak for themselves and this is noble indeed. To purchase a copy of Police Wife click the links below. I am a journalist in Lac Brome, Qc, and have won three Canadian Association of Journalists awards for investigative reporting and eight nominations for CAJ and National Magazine Awards. I helped found the Canadian Centre for Investigative Reporting and was president of its board. 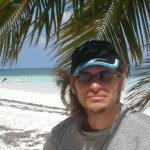 I have worked as an associate producer for CBC-TV’s The Fifth Estate, Canada’s premier investigative program, and my writing has appeared in The Globe & Mail, Reader’s Digest, The Georgia Straight, The Financial Post, The Toronto Star, Maclean’s, L’Actualité, The Montreal Gazette, Canadian Geographic, Canadian Wildlife and many others. In addition to Police Wife, I also authored an ebook on social media for small and medium-sized businesses.